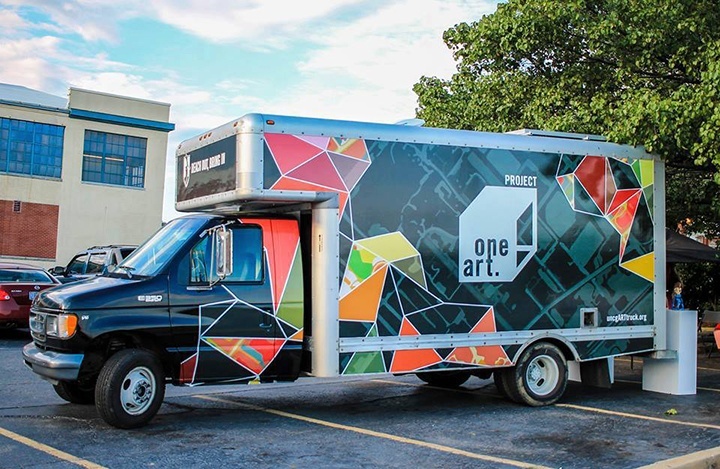 UNCG Art Truck is a mobile art gallery, interactive & educational art space. It was initiated by Lawrence Jenkens, Associate Dean of the College of Visual and Performing Arts at UNCG, in 2014. Within a year, the Art Truck Think Tank, formed by School of Art, The Department of Interior Architecture, and Lloyd International Honors College, collaborated on the design of the Art Truck and oversaw its renovation from a 17-feet U-Haul box truck to a unique, breathtaking mobile art space. 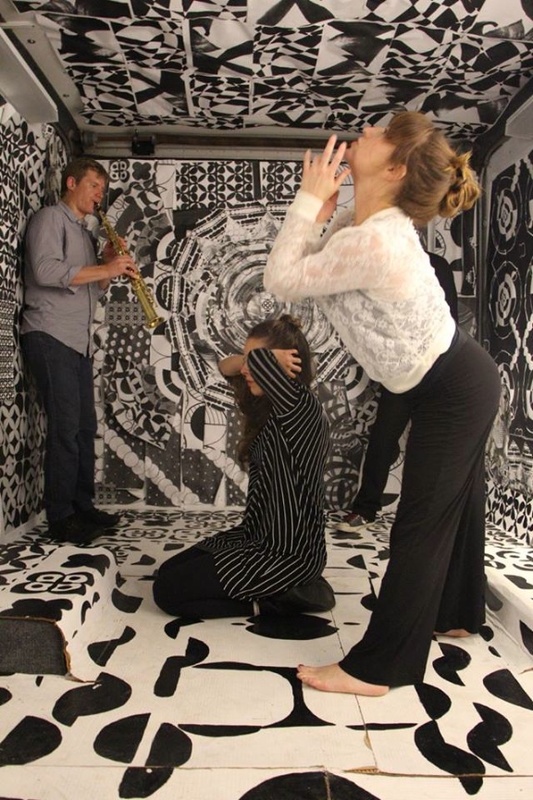 Debuted in 2015, Art Truck had developed versatile programs, which include art exhibitions, improvising performances, installations, socially engaged projects, poetry workshops, pop-up libraries, open theatre, photo booth, pop-up meditations, etc. Our motto is “Reach out. Bring in.” Community building, education, and engagement are our souls.